Discover a million ways to reward yourself. 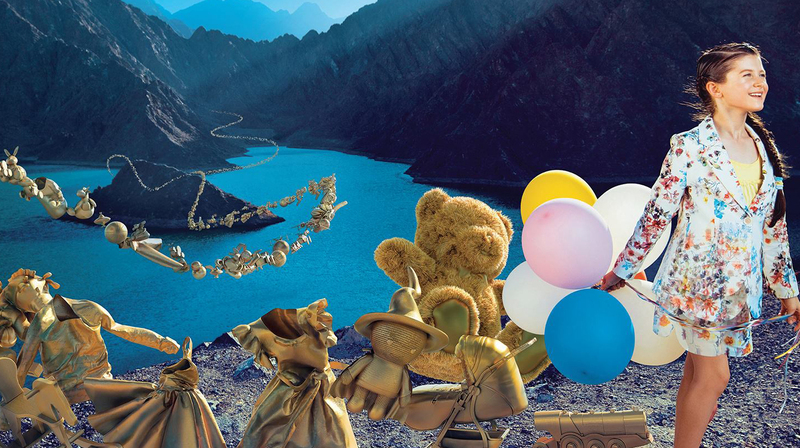 Shukran is the Landmark Group’s award-winning loyalty programme. 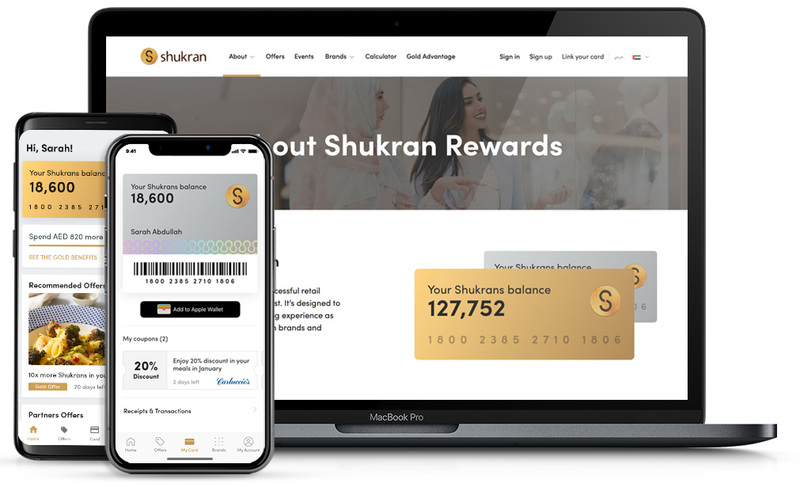 Shukran is the biggest and most successful retail loyalty programme in the Middle East, designed to offer a more rewarding shopping experience for customers. Members earn valuable Shukrans on their purchases and spend them for instant savings on everything the group’s various brands offer, including clothing, footwear, accessories, salons and spas, home furnishings, electronics, sports, entertainment and restaurants. 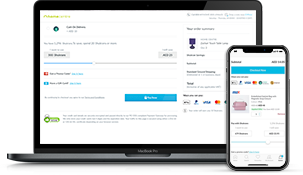 Earn and spend Shukrans online. When you shop one of our brands online, you’ll earn Shukrans on every purchase you make. Sign up at one of our online shopping sites. 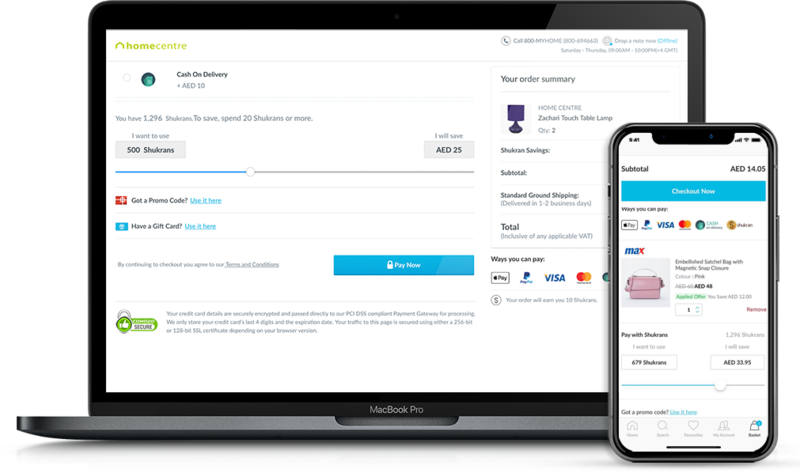 Link your Shukran account to your shopping account in a few easy steps. Explore the Shukran site and apps. Visit Shukran.com or download the Shukran apps for iOS and Android. Use your virtual card to keep track of your transactions, check your Shukran balance, get the latest offers and locate nearby stores. Wassan Athamina Member since 2016 I have to admit that I often subscribe to loyalty programmes with zero to little expectations, just adding an extra card to carry in my wallet. However, the Shukran card proved to be a totally different experience! More than once, I was surprised to get an invitation to exclusive event. Thank you, Shukran! Gitika Mittal Member since 2010 Shukran Rewards for me are Happiness Rewards. My most cherished memory is when I bought a skateboard for my son with Shukran. It put a very big smile on my son's face. Whenever I make a purchase at a Landmark store I always get excited because Shukran Rewards add to my purchasing power. Abigail Bokingo Member since 2008 I am very pleased with Shukran. It has a great number of partner brands and partner organizations. 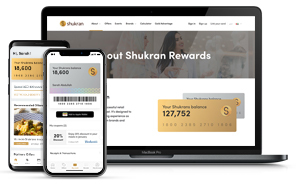 I can earn and redeem points during sales and promotions across 9 countries by simply showing my digital card on the Shukran app. No doubt, Shukran is the best loyalty programme in the Middle East! The possibilities are truly endless! Bronislava Torokova Member since 2009 I have been a Shukran member since 2009 and have only good experiences. It is easy to enrol, easy to collect points and redeem them. Most of our favourite clothing, shoes and accessories outlets are members, so collecting points has never been easier. It gives you real rewards for the money you spend. I highly recommend it. Mai Abu Al Khair Member since 2009 Shukran is a part of my family! From the bottom of my heart, I would like to thank you for your rewards system which is incomparable with any other loyalty programme. Your deals and offers are amazing and are truly rewarding. I am sure that millions of families are enjoying your many great benefits!